The report includes statistics, analyses and studies that fall into seven dimensions involving over 40 points that tackle a wide range of social, political, intellectual, human, media and military issues ,in addition to visualizing a vision for the future. Militarily speaking, the report revealed, based on estimated statistics on manpower and other technical factors, that the power balance of the pro-revolution Yemeni army and the Pro-Saleh troops is almost the same. It indicated that Yemen is in the possession of 156 jet fighters, mostly Meg, only 70% of which are fit for service. The pro-revolution army is in control of seven warplanes in Hodeida airport, according to the report. It said that there are many factors that make it difficult for the regime to use the air-force in any potential military showdown with the pro-revolution army, including the fact that the majority of air-force personnel are privately or publicly supporting a regime change, which makes the issue of confusing the regime and seizing control of some airports highly expected; thereby making the air-force a burden rather than a supporting force. It is highly expected that there would be an international intervention to impose a no-fly zone as was the case in Libya due to the heavy human losses that may result from the use of air-force, it added. “In case the naval forces are excluded due to their weakness, taking into account that it is also difficult to use the air-force in a military settlement, it would be unpredictable which of the two sides will be able to settle the situation militarily in the event of any military stand-off. However, change is highly anticipated, ” the report indicated. “The different military regions, except the northwestern military region, won’t be able to affect any military confrontations, as the military situation would entail that such confrontations would be between the First Armoured Division, which supports the revolution, and the regime’s special forces,” it further indicated. “Though the pro-Saleh troops are well-equipped, well-trained and well deployed inside and outside Sana’a, they are already demoralized and disintegrated, unable to utilize any other armed forces, and, above all, are lacking combat experience, let alone the fact that if they would face a hermetic siege on the part of civilians in case they were engaged in any clash with them,” it said. The report said that the first Armoured Division, which is a quasi-regular army, is poorly equipped, poorly trained and poorly deployed in comparison to the Republican Guards. However, it is capable of competing with and/or defeating its rivals due to several factors, including military experience, high morale, and tribal and popular support. The report was based on a discretionary analysis of nine factors affecting the military strength, including weapons, training, experience, morale, deployment, cohesion, popular support and the existence of other supporting armed forces . It expected that three scenarios may dominate the situation in Yemen: Peaceful political power transition, which will indicate a victory for the revolution, or an all-out war with heavy losses, but would certainly bring about change, and overwhelming chaos. However, the international community and local parties are keen not to let the latter scenario take place. Nevertheless, it would remain as an option to be imposed by any circumstances. The report shed light on how President Saleh had managed, during his reign, to build up an autocratic regime compatible to the traditional one. Another analytical essay set out a vision for the post-military and tyrannical era, indicating that all military and autocratic regimes in the Arab world are facing popular uprisings. Some 2,443 people, including servicemen and civilians, have been killed during different events that occurred from February-September 2011. The number of protestors killed in government crackdown on peaceful protests is estimated at 368, 15% of the total number of war victims. The number of the armed tribesmen supporting the JMPs, who were killed by government troops during the same period, is estimated at 493 or 20% of the total number. It pointed out that those gunmen were killed in different clashes with the Republican guards in Taiz and Sana’a, mainly the district of Arahab, while others were killed in engagements with different ideologically-oriented groups that sought to exploit the security vacuum to take over provinces, as was the case with Al-Qaeda in Abyan and the Houthis in Al-Jawf. The number of the servicemen killed in armed confrontations with militant groups reached 700 or 29% of the total number, noting that two thirds of these troops belong to the Republican Guards. Only 50 troops belonging to the pro-revolution army were killed in attacks by the Republican guards on the headquarters of the First Armoured Division, as well as the onslaughts on Taiz, Arahab and Hasbah neighborhood. The bulk of the victims killed during the peaceful revolution belong to the militant groups, according to the report. The number of Houthi and Al-Qaeda operatives killed in clashes wish the army and the JMPs gunmen in Al-Jawf and Abyan, in addition to those killed in a weapons store blast in Abyan or in the inter-fighting between the followers of the two clerics Abdul Al-Adheem Al-Houthi and Abdul Malik Al-Houthi was projected at 882 or 36% of the total number . On the security side, the report revealed that feud plummeted to its lowest point during the peaceful revolt, indicating that only 25 feud cases were registered from January-June 2011, a dramatic drop from the 337 cases that happened in just one month last year. The fall in the number of feud cases was imputed to the revolutionary commitment shown by the Yemeni tribes supporting the youth uprising, let alone the fact that these tribes were busy protecting their internal fronts against any aggression on the part of the regime. Revolutionarily speaking, an essay titled “Taiz the revolution” stated that the reason why the regime mainly targeted Taiz province was due to the pivotal role it has been playing in the triggering of all Yemeni revolutions that erupted over the past century, which made this governorate lead the process of sparking off the peaceful youth revolution in February 2011. A former Yemeni official wrote an article in which he described the Yemeni revolution as being velvet. He said : ” The elapse of time without a regime collapse would make the youth more defiant, particularly as they see that the regime is crumbling and disintegrating on a daily basis to the extent that it looks totally isolated internally and externally. There is an overall consensus inside and outside Yemen that solution rests with the departure of Ali Abdullah Saleh and his family from power”. A study conducted by one academic deliberated upon the intervention between the revolutionary and political approaches, concluding that ” The political parties played a key part in preparing the ground of the peaceful youth revolution; however, they , at the same time, kept curb on the revolutionary escalation at the protest squares,”. Another study concluded that the protests against the regime of President Saleh are not indicative of a crisis, rather they are suggestive of a real revolution. An in-depth political evaluation of the regime’s media performance suggested that the revolution was increasingly gaining momentum despite the smear campaign launched against it by the regime. Al-Jazeera network and face-book were ruled the most important media tools of Arab revolts. A legal study touched upon the difference between the constitutional legitimacy and the revolutionary one, focusing on the constitutional situation that has been prevailing in the country since the eruption of the uprising. Moreover, another study tackled the approaches of the counter-revolution and shed light on the most important youth coalitions at Change Squar. It sorted out such coalitions in terms of their relations to the political and ideological parties, social trends and geographical areas. It also hinted at the organizational committee as well as youth and revolutionary alliances , which are of professional character. As regards the Uprising of the Poor in Hodeida governorate , an investigative feature explained the impact of the historic uprising of the Zaraneeq ( rough Tihama fighters) on the course of the revolt taking place currently in the province. One political analysis on the political leanings of Hadramout youth showed that some youth are supporting the ouster of Saleh’s regime, others are adopting the ideas of the so-called the Southern Protest Movement that seeks either separation or federalism, while others are in support of an independent state in the province. Another analysis stated that the protests occurring in four southern provinces fall into two categories : the first such category supports the peaceful protests while the other believes in adopting armed struggle to resolve the southern question. In respect of “The revolution and changes within Tribes and the State”, an informative study underlined that the war sparked in the Sana’a neighborhood of Hasba between the regime and sons of late Sheikh Abdullah Al-Ahmar was a turning point towards political rivalry between the formerly two strategic allies- The leader of Hashid tribe and the the regime with its military and bureaucratic nature. The study dwelt upon the regime’s crackdown on the peaceful protests, confirming that such a clampdown helped the protests gather pace steadily. It pointed out that after the different social segments, such as the tribes, had joined in the uprising, the regime changed its tactics and waged an all-out war in Hasba suburb, Arahab district and Taiz. On the achievements of and the obstacles to the revolution, another qualitative study indicated that the current period has been the most crucial ever since the reunification of Yemen in 1990, if not the hardest since the triggering of September and October revolutions in the 1960s. Yemenis have been enduring since they took to the streets to demand a regime change, indicating that the tragedies of displacement, poverty and soaring unemployment have resulted from the policy of collective punishment, and the various wars waged by the regime against the country in an attempt to halt the pace of change that is going full steam ahead, according to the report. It explained in detail the losses and casualties from Hasaba war, shedding light on the tragic conditions the people of Arahab have been suffering as confrontations with the Republican Guards continued unabated. An article entitled ” The Trial of the Mountain….Arhab the Story of the Scorched Land” tackled some historical , geographical and military implications of Assama’a mount overlooking Capital Sana’a. Politically speaking, one analysis debated the political status of the Yemeni political parties ,the role they currently play in igniting the protest movement demanding the toppling of Saleh’s regime, and the role they are presumed to play in the future. A study on the national council that has recently been created demonstrated that this council was not up to the expectations of the youth due to some mistakes made by its founders- such as non-coordination, among others. It suggested some solutions to rectify such mistakes and to enable the council shoulder its own responsibility to the people, including by setting out a vision for the transitional period and its priorities, and the revitalization of its media performance. Another study focused on the impact of the foreign intervention, mainly that of Saudi Arabia, on the Yemeni uprising, highlighting the effect of pragmatism on the international positions on the Yemeni revolt. All such studies hinted at the constants and variables of the US foreign policy towards the Arab region. Ideologically speaking, a study discussed the “status of Mareb governorate between interests and ideology”, concluding that ” During his reign, Saleh applied the strategy of building up alliances based on interests”. An analytic article touched upon the alliances that have recently been forged between the regime and extremist groups and how such alliances led to new anti-regime alliances that have emerged since the eruption of the revolution. Another ideological article stated that there is need for a civil state to administer justice and protect common interests. This is due to the intellectual and ideological paradoxes existing currently in the country. “The intricate ideological contradictions may pose a threat to the clan , sectarian or confessional state. However, they are a precondition for the creation of a modern civil state,” it concluded. A study on Al-Qaeda organization said that ” the harbingers of change, coupled with a new formula of political legitimacy, Al-Qaeda figures prominently as a key challenge to the builders of the new Yemen, putting them to testing”. “The most crucial challenges that should be encountered in the future, aside from the results of the current protest movement, lies in how to help Yemen avoid the danger of sliding more into destructive chaos,” it noted. It discussed the reasons for the clashes flared up between the Houthis and JMPs supporters in Al-Jawf province, the Houthi inter-fighting, and laid down a future vision for the status of these provinces. A juristic study stated that the provisions of Islamic Sharia do in fact vary based on time and place. Some researchers set out some views on the features of the forthcoming Yemeni state. They deliberated in their researches the issues of terrorism, Houthi insurgency and the Southern Mobility Movement. ” if the state of modern institution was created, and social justice, coupled with equal citizenship, achieved , alongside real power-sharing and wealth-sharing, terrorism would drop in the future, if not totally disappear due to the lack of its breeding ground . The same applies to the issues of Houthis in Sa’ada and the southern protest movement. Still, there are other political factors, including the fact that the regime, during its reign, used political and security cards to serve its own illegal interests,” it remarked. Another study on the “civil state” recommended the fragmentation of the system of despotism and dictatorship in order to move to a real competitive phase during which time the civil state will be built. 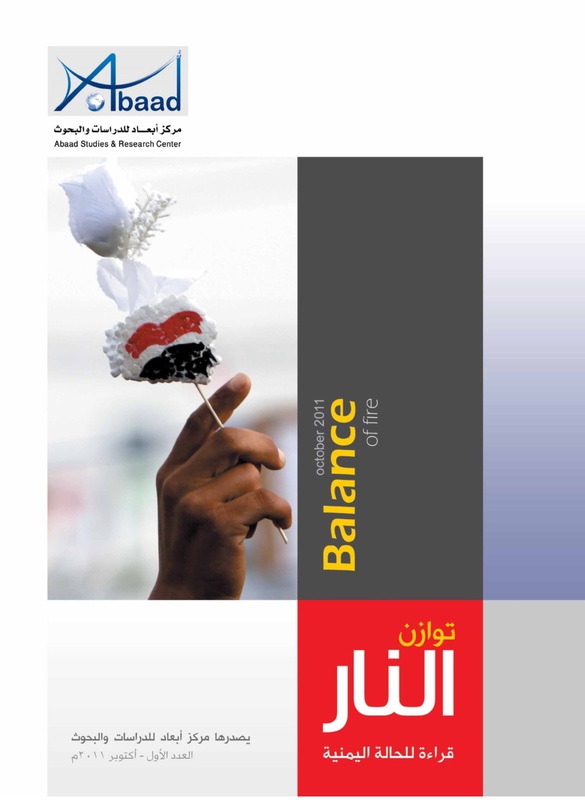 On the future of foreign relations and international agreements, the study confirmed that Yemen, with its future state and geographic location, should work hard towards developing its relations with the international community, using foreign relations in the service of its development and in the achievement of sustained stability and cooperation, taking part in charting a course for the world order, giving a special importance to human rights and freedoms in such a manner that enhances human role in delineating a better future for the whole world, and fulfilling the commitments of the accords and treaties to which it is a signatory”. “There are three major tasks to be done by the future Yemeni state after the ouster of the regime. These include putting a halt to the security and economic deterioration and the squandering of wealth besides specifying the relation between the state and the tribes, and resolving the problems emanating from land-grabs,” it stated. The package included an interview with a high-profile Arab thinker, who spoke elaborately of the Arab revolutions in general and the Yemeni uprising in particular.